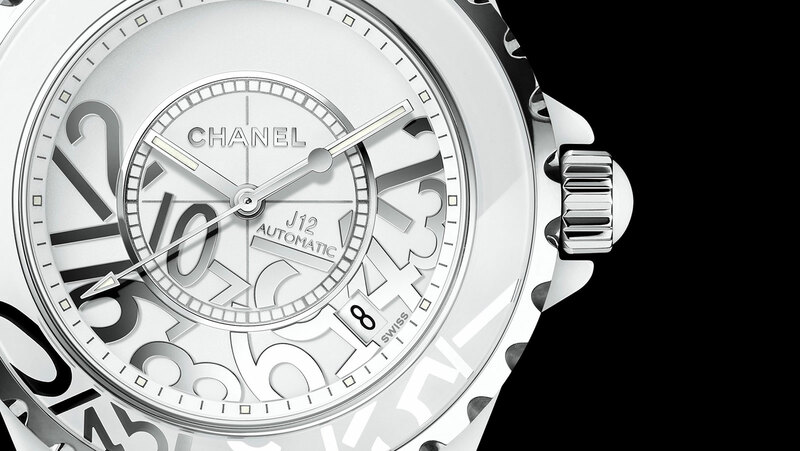 Chanel continues its run of whimsical watches with J12 Graffiti. Inspired by street art according to the Parisian fashion house, the new J12 is horological trompe l’oeil, with a heap of Arabic numerals piled up on the dial and bezel, seemingly having fallen off the dial. Designed in 2000 by the late Jacques Helleu, who enjoyed a 40-year tenure as artistic director of Chanel’s fragrance and watch division, the J12 was a landmark, being a pioneer in luxury ceramic watches. It’s since become one of the bestselling ladies’ watches on the planet and a strongly influential design, despite not being a traditional haute horlogerie product. Evoking the jumbled numerals of the Franck Muller Crazy Hours, the J12 Graffiti adds to the diversity that makes up the J12 line, which is mostly powered by basic automatic or quartz movements, but possessed of ceramic cases and bracelets made in-house by Chanel subsidiary G&F Chatelain, a respected case maker that also works for Bell & Ross and MB&F, amongst others. Two versions of the J12 Graffiti are available, a 33mm and a 38mm. 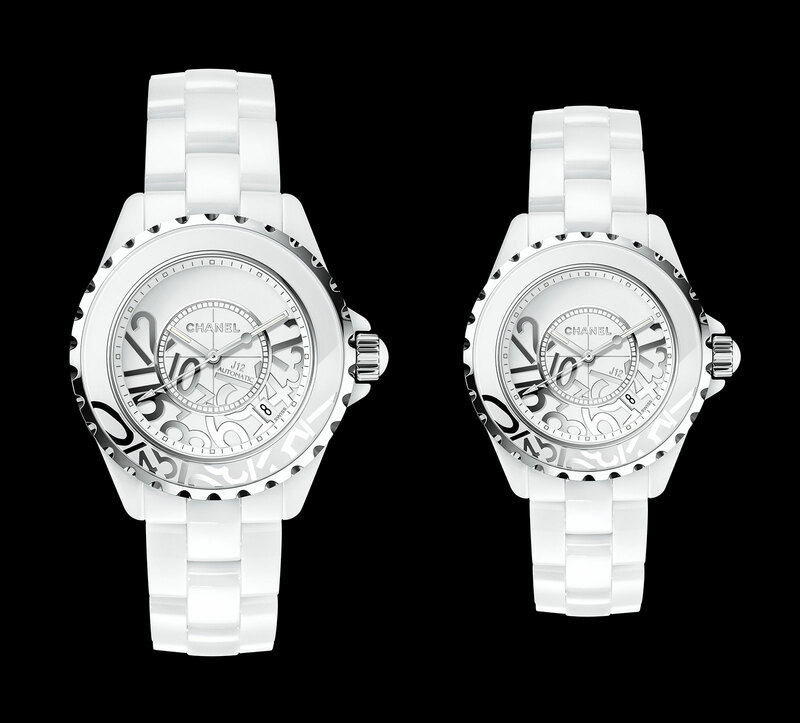 Both have automatic movements and a white ceramic case with a matching ceramic bracelet. The larger model is powered by an ETA 2892 with a 42-hour power reserve, the 33mm version presumably has a smaller ETA movement inside. The J12 Graffiti 38mm (ref. 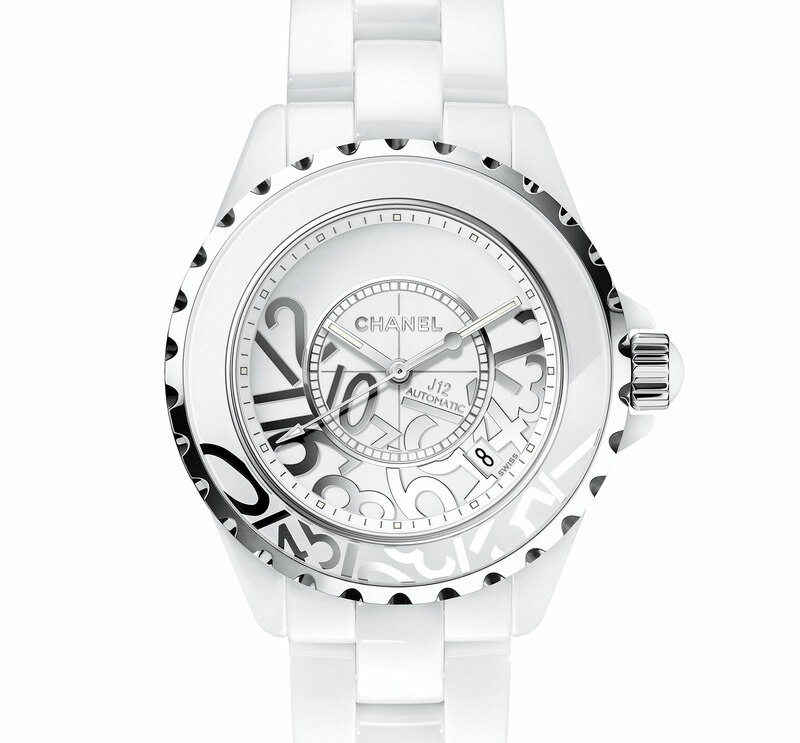 H5240) costs US$5100 or S$7550, while the 33mm (ref. H5239) model costs US$4500 or S$6650. Each is limited to 1200 pieces and is available at Chanel boutiques.